Today I’m talking with Pawan Deshpande, the CEO and Founder of Curata. We discuss Curata on the eve of the Social Tools Summit in Boston. Curata provides tools that help marketers curate content and publish it to many channels, as well as provide analytics, best practices, and machine learning to make content curation and creation easier and more effective. Curata can schedule content, build posts from relevant metadata, and even suggest images. Pawan also discusses the company’s history, the value of content curation, and the future of content curation and creation convergence. You can choose content you want to share or not, and Curata will learn the types of content you like. The product integrates with lots of different marketing automation systems. Curata can suggest a relevant image and sort out other metadata for you, to get it ready for posting. You can set different schedules for different outlets such as Twitter and WordPress. They provide analytics on all of the content that is being shared. The content marketing pyramid – it all starts with a key piece of content that you have created. 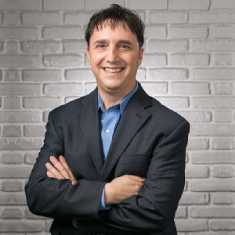 Jason Miller joined Curata’s advisory board recently. Their approach is data driven content marketing, so that you have a more informed intuition when you create content. Content curation is still a new thing for a lot of companies. The history of Curata and how they started before content creation was in the public lexicon. The layer of control made it go from aggregation to curation. The value of curation is that you are finding relevant content, contextualizing it, and then sharing it with a larger audience. Curators add a tremendous amount of value bringing together other content. The top new sites all have a very heavy curation angle; sites such as reddit are mostly curating other people’s content. If you a trustworthy curator, people will keep coming back to you. Curating content and adding your own brand is important. Just bringing together content is not high enough of a value these days. Sales teams and other employees can suggest and add content within Curata’s tool. The B2C example of how Capital One 360 uses Curata to show customers curated content in their coffee shop location. Curata’s tool can create a record of everything you’ve created so you can see the analytics and plan for the future. They have built best practices into the tool itself. Curation and creation are converging and social and content are coming closer and closer together. Learn about how content curation can drive traffic. Check out a great way to grow Facebook likes using content curation. Some tips for effective content curation. Read about using content in the social sales process. Here are 3 tools that help with social media content curation. Hi Shiv – Here’s what you need to do. First, subscribe to my podcast on iTunes. Then find out where iTunes puts your podcasts. If you used the default settings when you set up iTunes then they should be in your iTunes Music folder in “My Music”, then go to podcasts and you should see folders for your different podcasts. If that is not the case, go to the podcast section in the left pane so that you can see all of your podcasts in the main window. Right click on a podcast episode and select “get info.” Look on the bottom of the summary tab, which will be the first one. Following “where” is the pathway to your podcast. Connect your mp3 player to your computer. Then drag and drop from your podcast folder to your player. If all of your podcasts are in mp3 that should be all you need to do. Some podcasts are in AAC, but the publishers usually give you a choice. If not, you can convert to mp3 within iTunes. You just need to make sure that your preferences are to import/rip music using mp3 encoder (Default setting is usually to AAC). Then all you need to do is right click on the podcast and select “convert selection to mp3.” Then find you file(s) and drag and drop to your player.